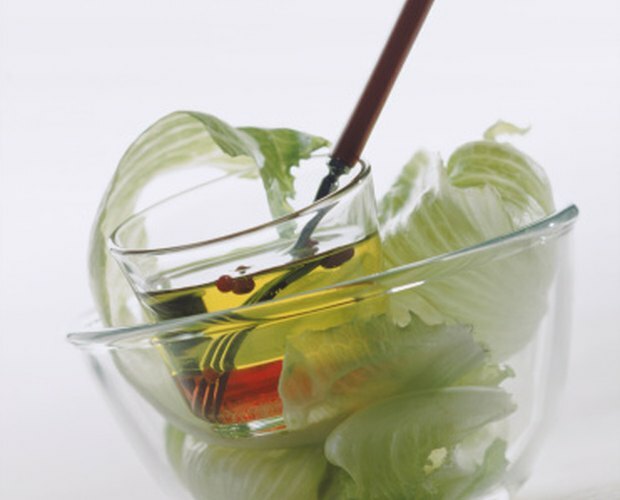 Keeping the vinegar and oil in a salad dressing from parting ways can be a challenge. An emulsifier is needed to keep the ingredients thoroughly mixed. 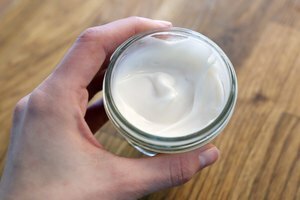 An emulsifier is any ingredient used to bind together normally non-compatible substances. It blends the ingredients of the mixture and prevents separation during use or processing. 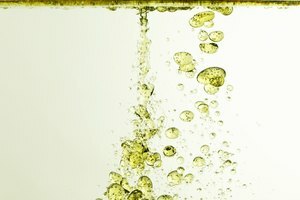 Since olive oil does not have much saturated fat, it is hard to emulsify. 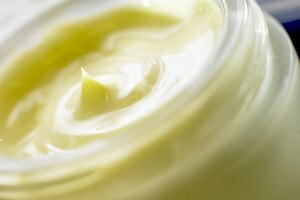 Several methods are available for use as an emulsifier with olive oil. Whisk or put ingredients such as olive oil and vinegar in a sealed container and shake vigorously. These will help blend the ingredients for a very short period of time. Balloon whisks, specifically designed for better emulsifying, are available at kitchen supply stores. Use egg yolks. Egg yolk contains a number of natural emulsifiers. It is the reason egg yolks play a vital role in making food such as hollandaise sauce. Various proteins in egg yolk act as emulsifiers because they have some amino acids that repel water and other amino acids that attract water. One part of the protein will adhere to the water and another part will cling to the oil, causing the mixture to emulsify. Egg yolk is the main emulsifier used in the dressing for the ever-popular Caesar Salad and many other salad dressings. Mayonnaise is another example of using egg yolk with oil as an emulsifier. Add lecithin. This important emulsifier can be found in egg yolk, soybeans and sunflower seeds. 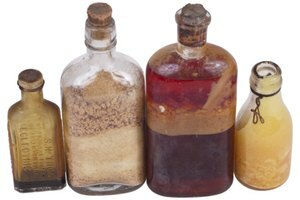 It is also used commercially to thicken, emulsify and stabilize food items such as candy bars and margarine, as well as, cosmetics and lotions, such as cocoa butter. It is a fat-like molecule that loves water. Lecithin improves the texture of foods such as gravies, soups and nut butters. Lecithin liquid or granules are available at health food stores and larger food markets. Mix these with olive oil per the manufacturer's instructions. Mix with mustard. While mustard may seem like an unlikely choice as an emulsifier, it actually works very well. Mustard seeds contain just about equal amounts of protein and carbohydrate plus oil. When the seeds are crushed, the carbohydrates and protein coat the oil and stop it from repelling the water in substances like lemon juice, vinaigrette, mayonnaise and so on. Mustard is commonly used in salad dressings containing olive oil, not only for the zing it adds, but also for its emulsifying properties. Xanathan gum is thickener and stabilizer which is used commercially and included in many salad dressings and salad dressing mixes to which olive oil is added. 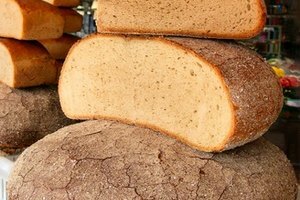 It is derived through a form of sugar fermentation. It helps prevent oil separation and helps suspend solid particles, such as spices. Xanathan gum can be purchased a health food stores. Use per the manufacturer's instructions.